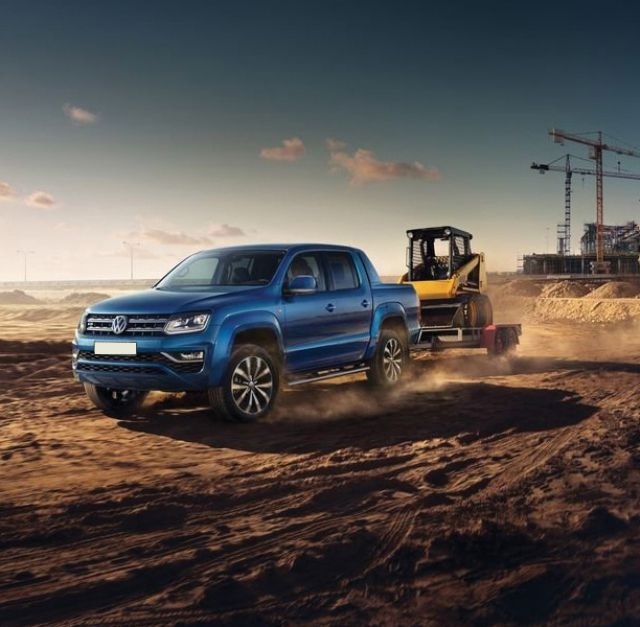 The 2018 VW Amarok is the latest model in the Amarok series of cars which where first introduced in 2010. The Amarok series has been a pretty popular series since 2010 and has sold well. However, this pickup truck is among a few cars not sold in North America by the Volkswagen group. Over the years, the company has tried to bring changes in the series to suit consumer’s preferences. The 2018 VW Amarok is no exception. It successfully tries to enhance the features offered by the line of cars. The 2018 VW Amarok is the new hype among pickup truck lovers. So, what has Volkswagen changed in this version? The company has tinkered around with the exterior giving the new model a much sharper look. The interior of the car, on the other hand, speaks of an extensive rework program which has resulted in more comfort, better functionality and sharper features. Though the Amarok is a popular series, people often complained about its performance. In this recent update, the manufacturer has addressed the concern with a much better engine. All in all, it is a well-deserved update! There is a general belief that Volkswagen has not brought in a lot of changes in the car’s exterior. However, a deeper look will negate this impression. There are certain subtle changes. The vertical grille bars in the upper fascia have been made more prominent. On the other hand, an element of style has been added to the lower fascia by the introduction of a smart horizontal grille. 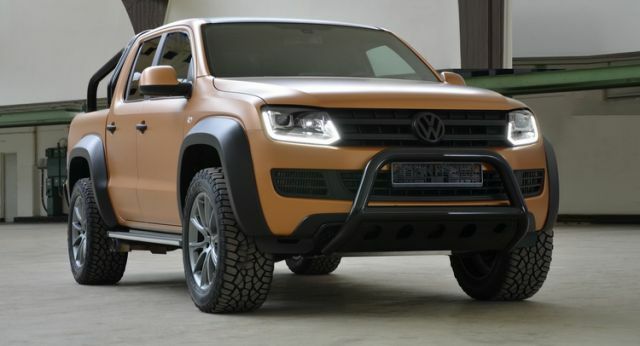 However, the most noteworthy change on the 2018 VW Amarok can be found in the fog lights which have been made slim instead of round. All these features combine to give the new 2018 VW Amarok very sharp and sporty features as compared to the gullible round-edged 2016 edition. Though it may be difficult to spot changes in the exterior, the interior of the 2018 VW Amarok seems to have gone through a massive change. The two things which immediately strike are the HVAC vents and the center screen. The vents have been made rectangular in shape. This seems consistent with a wish to give the car sharper edges, as was seen with the fog lights. The center screen has also been made much larger than before providing much better interaction. The gauge cluster has been reworked to introduce deeper gauges. Besides these features, the car offers ergoComfort front seats. These seats are 14 way adjustable and have options for height, backrest angle and seat depth changes. The surface of the seats provides lumbar support and a massage function. Along with these apparent changes, one can easily sense an effort to give the interior a more striking and sharp appearance than its predecessor. 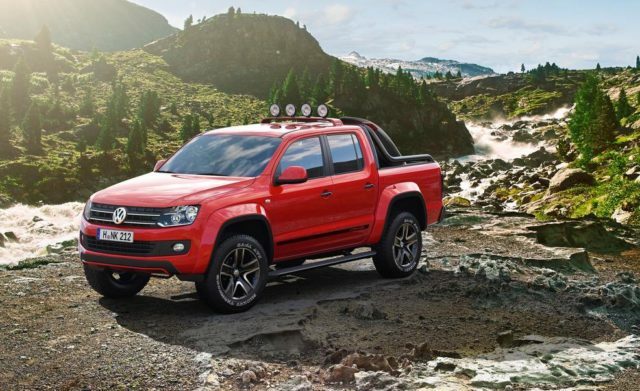 The new model 2018 VW Amarok will be released with a 3.0 liter V6 TDI engine, a much-needed improvement over the 2 liters and four-cylinder versions which were present in the previous cars. Given that is a pickup truck, it goes without saying that a good amount power becomes an essential. The present engine comes in two variants. The better version gives a commendable 224 horsepower along with 406 pound-feet of torque while the other version provides 163 horsepower. The Volkswagen claims that the engine is strong enough to power the car to 62 mph in 7.9 seconds. Apart from this, the car is supposed to have a top speed of 120 mph. 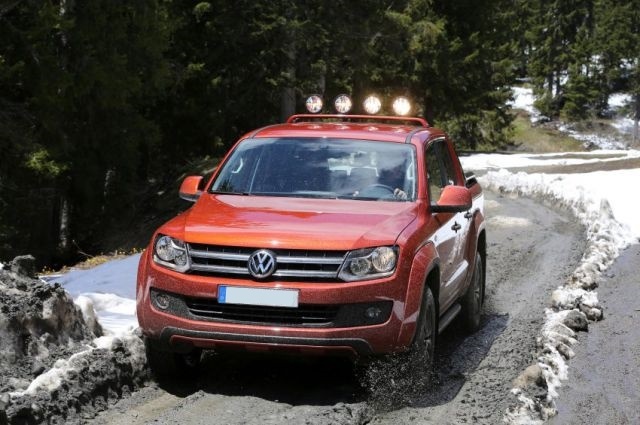 The Amarok, by default, comes in Real Wheel Drive form though the All-Wheel Drive comes as an option. The engine will have an 8-speed automatic transmission which can be operated using the console shifter. The 2018 VW Amarok is expected to start selling in Germany for 25,720 Euros. Going by the present exchange rates, this would mean around 28.135 USD. This also means a price rise of 940 Euros or 1025 USD over the previous editions. It is expected that the car will be available for purchase by the last week of September 2017. 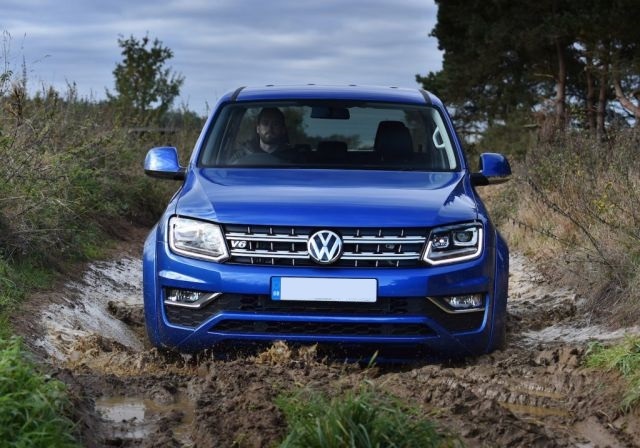 There are some significant changes seen in the 2018 VW Amarok as compared to its predecessors. Besides the noteworthy changes in the exterior and the remarkable changes in the interior, there has been a genuine attempt to give a sporty look to the car.